As digital technologies continue to dominate virtually all business markets, automatic processes and operations are becoming a mainstay. Business-to-customer companies are expected to leverage these innovations to enhance efficiency and make it easier for consumers to shop, compare products and services, and place orders. But the same is expected of business-to-business transactions as well. 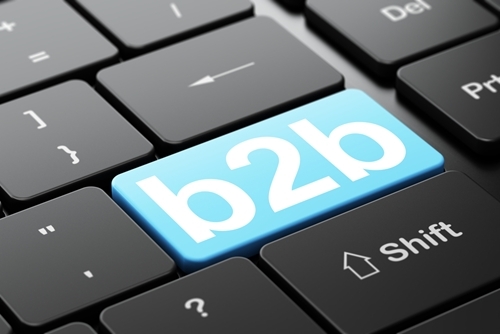 A number of studies have shown that the B2B sector is quickly surpassing B2C in sales. And this trend is important for print distributors to take notice of. Because the electronic evolution has had such tremendous effects on the way organizations operate, there has been a shift in the way B2B buyers shop, as well as what they expect from potential providers. To ensure customer satisfaction, revenue growth and long-term sustainability, it is critical that printing companies adjust their business models in a way that is best suited to meet the needs of their target audiences. And, in order to do that, firms must first understand what the emerging trends are and what aspects are going to continue to play an important role in B2B transactions. An article posted by Multichannel Merchant explored some of the shifts that have occurred in the business-to-business sector. One of them is the development and widespread adoption of cloud and mobile technologies, which has presented companies with increasing pressure to implement versatile and functional software that is capable of handling all of the needs of their customers. Print providers must update their operating platforms to ones that are flexible and robust enough to meet the specific and varying needs of each order and customer. As with most buyer types, the shopping experience will be significantly better if it is personalized to the specific consumer. This concept is well-known in the B2C sector, but seemingly less talked about in B2B. How can a print provider tailor the purchasing process to create a better business model? One of the best ways is by using an online portal that allows exact repeat orders, mobile-enabled buying and real-time reporting and tracking features. Providing customers with personalized shopping experiences is actually a lot easier for B2B companies, Customer Think recently pointed out, since these buyers are more used to logging into systems than other types of consumers. And the more connected a user is, the more information that is available for the business to track, measure and, ultimately, use to its advantage. Operating in a way that allows "self-service"
Again, digital technologies and automatic processes have been a driving force radically changing the way business today is conducted. Online sellers, for example, now have access to more customers than ever before. Thanks to the Internet, shoppers are able to find the products and service they are looking for with just a click of a button – at any time, from wherever they are. The printing industry has generally been perceived as being a bit behind as far as its technological innovativeness. But to ensure long-term success, it is important that print distributors do not fall victim to this misconception. To really stand out among competitors and appeal to more businesses looking for managed print services or an ongoing vendor for paper products and documents, providers must operate on a platform that makes it easy for customers to feel like they are in full control of operations. How? By moving toward a system that facilitates "self-service" operations. For print jobs, this means being able to gain on-demand and real-time visibility into inventory levels and order fulfillment operations. As Multichannel Merchant explained, this approach benefits customers, buyers and stakeholders. By streamlining a lot of the business functions and making them able to be carried out and controlled by the customer, the company can save both time and money.